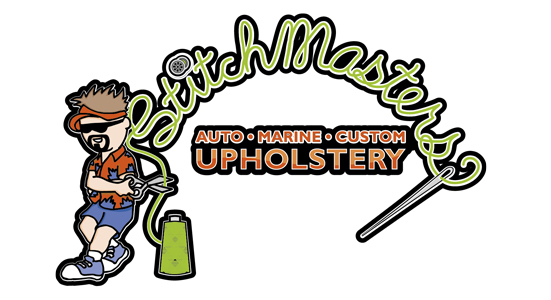 Be ready for the water with marine upholstery services in Fort Collins, CO, from Stitchmasters Upholstery! Your boat is in good hands with us as our experts take meticulous care when repairing or replacing upholstery. If your vehicle's interior is plagued with worn, torn or discolored upholstery, call the experts at Stitchmasters Upholstery! We guarantee quick and satisfactory service when repairing or installing Convertible tops, seats, carpets & more! Paint scratches can be buffed away and dents can be popped out, but what do you do about worn, torn and unsightly upholstery? Call Stitchmasters Upholstery, of course! You may have previously known our team of upholstery experts as Jerry's Auto Upholstery, and though the name has changed, our exceptional team and commitment to service have not! We repair and renovate many different applications of upholstery and will have your vehicle seats, convertible tops, restaurant seating and other related products looking better than new in no time. Call us today for expert upholstery repairs and custom upholstery in Fort Collins, Colorado and surrounding areas for your vehicles and your business. Don't neglect the gashes, repair those tears! Have you ever seen a vehicle go down the road with a faded, tattered convertible top flapping in the wind? Or have you been to a restaurant where food and debris was caught in the crevices of the ripped seats? Worn, torn and discolored upholstery is unsightly and can detract from the look and value of your vehicle or the reputation of your restaurant. Instead of tolerating those tears and projecting a shoddy image, have your upholstery repaired by Stitchmasters Upholstery. Our upholstery repairs in Fort Collins, CO, will have your upholstered surfaces looking like new in no time. Call us today for vehicle and marine upholstery repairs including auto, boat and motorcycle and restaurant upholstery repairs in Fort Collins, CO, and surrounding areas. There are many ways to modify your vehicle, but have you considered customizing the upholstery? Upgrades from cloth to leather or solid colors to a two-tone look can really add to the appeal of your vehicle. We specialize in classic cars and hot rods, but can enhance the look of any upholstered surface. Not sure what kind of look you want for your vehicle's interior? Check out our gallery for ideas from some of the custom work we have done then give us a call! We guarantee quick, quality service on all custom upholstery and repair services. Call today for custom auto, marine and motorcycle upholstery in Fort Collins, Colorado.